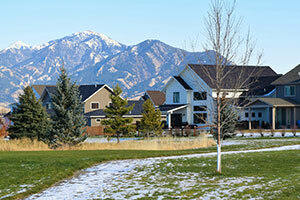 Located on the south side of Bozeman, Alder Creek is a great neighborhood with Bozeman Homes featuring fantastic views, walking trails and a large central park. Alder Creek flows through the heart of the neighborhood. he architectural designs in Alder Creek are modern homes designed with family living as the main focus. Alder Creek has an HOA quarterly dues as well as covenants enforced through the HOA. Located just minutes from Montana State University and the Museum of the Rockies, Alder Creek also boasts easy access to a number of outdoor recreation areas as well as many hiking trails and ski areas in and around Bozeman.